A perfect elegant design for Spa Salon is here, is Vallees theme! It was developed and crafted by high-class experts in web building. 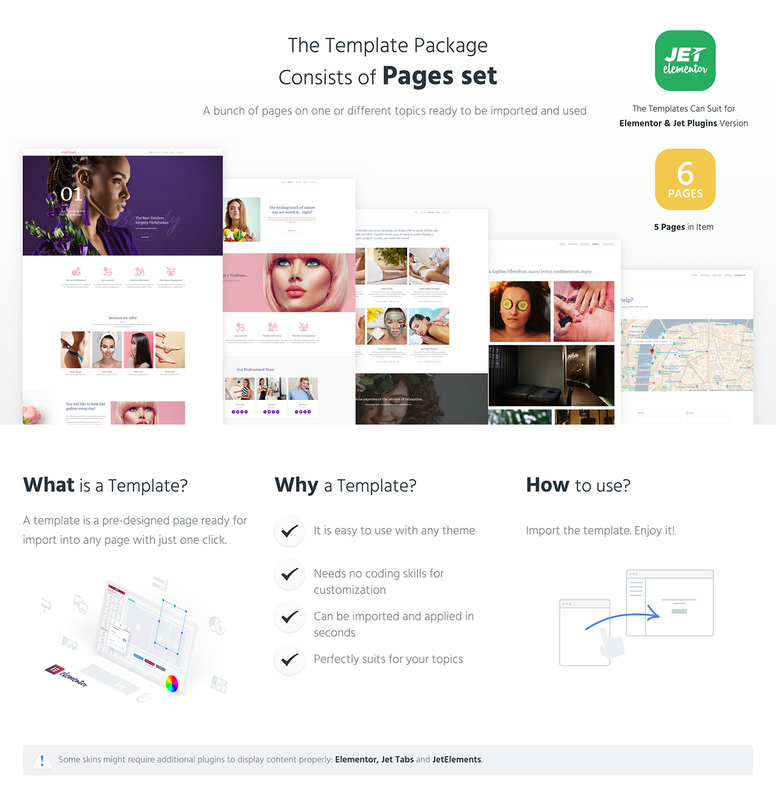 Except loads of technical functions greatly combined with sophisticated design, the theme is equipped with Elementor page builder and astonishing Jet Family plugins. They were developed as highly powerful addons for Elementor and have extended functionality and endless opportunities in content building. You will be able to display clients testimonials, the services you offer, introduce your staff and many other options. You are able to represent your spa salon in the most engaging way and increase the number of satisfied clients. 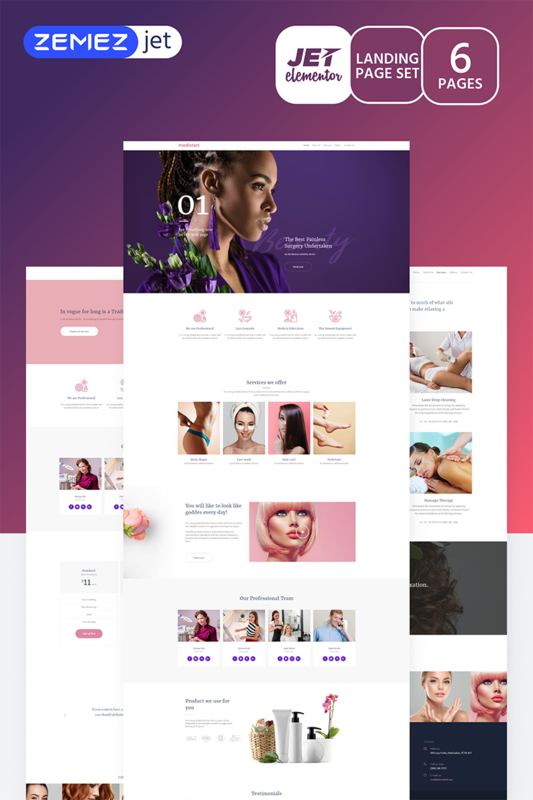 To work with this type of template the WordPress, WordPress Theme, Elementor page builder, JetElements plugin + JetPlugins indicated on LiveDemo (plugins should be purchased separately) are required.